Got a tech website with excellent content? 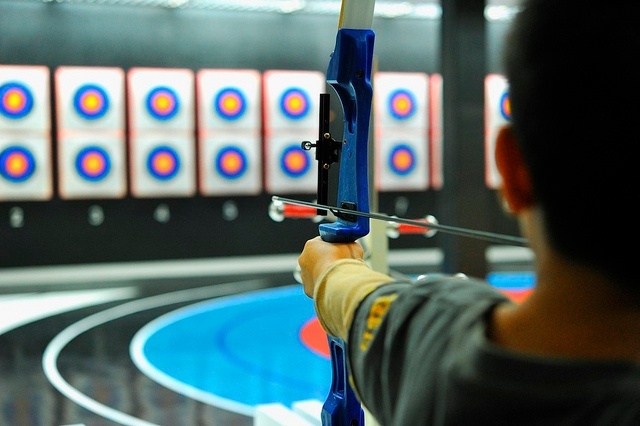 Learn how you can use social media to retarget your audience to generate more leads and sales. Whilst many people use social media to attract new visitors, they haven't realised they can also use social media to re-target visitors and convert them into leads or even customers. It’s a tried and tested method that forms the basis of Inbound Marketing. Unfortunately, this limits tech marketers. As email is the sole tool for nurturing, some marketers have failed to realise they can use social media to re-target their current customers. As so many people are on social media and now, more than ever, use it to learn and discover - it is simply a waste not to tap into this resource. We’re going to explain how you can use Facebook, Twitter and LinkedIn to retarget your customers to maximise your content. 1) Put conversion tracking onto your website so you can track which users have come to your website via your social media ads. For Twitter and Facebook you can get a code that you can put on your website to measure the conversions of individuals who visit your site. HubSpot also offers a CRM system so you can store information of companies who have arrived on your site. This information will help you re-target these contacts with social media later. 2) After you have set the conversion tracking in place, you can create and share content to attract people to your website. Once people visit your site, the tracking pixels you have installed from Facebook and Twitter will collect information about the people who have visited your site and so will your CRM. 3) To convert these visitors into leads, you can create sign-up forms, calls-to-action and landing pages then put these on your website and share via social media. The tracking pixels will allow to to see where any clicks, visits and leads have come from. Usually when you’ve converted these visitors into leads you will then nurture them into customers with email workflows however here is how you can use social media to retarget people who didn’t convert into leads and those who did convert. To re-target companies, export the list of companies who visited your website from your CRM. 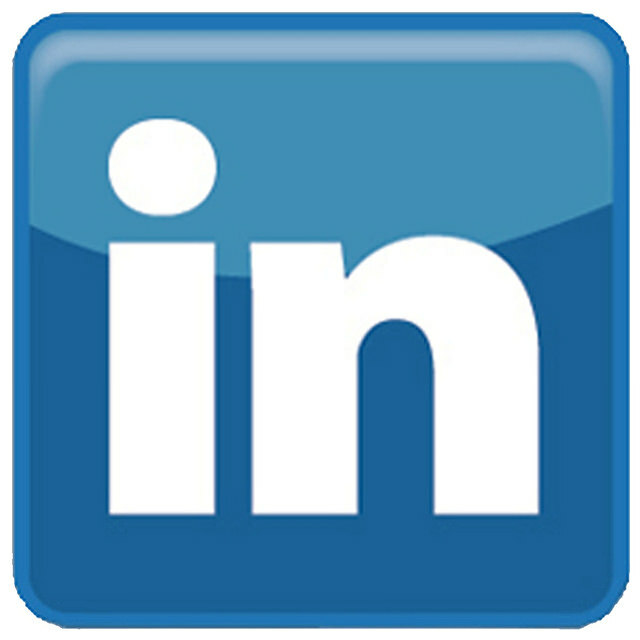 Linkedin allows for spreadsheet uploads of contacts, but check the format they require first. On LinkedIn, create a social ad targeted at the list of companies who failed to convert (the ones you uploaded). As you want to convert them from visitors into leads, create content that will interest their business. A blog post or infographic can do the trick. If the content is helpful and relevant, they will more likely convert into a lead. By using the tracking code from Twitter and Facebook you can see which individuals were tempted to your site but failed to convert. A social ad on both Twitter and Facebook can be designed to re-target these people. You know they liked your last blog because it was relevant to their interests but create another blog, infographic or call-to-action that can tempt them to convert. By pinpointing your advertising pounds to those who have previously shown interest in what you do, you will maximise any future conversion opportunity. On Facebook and Twitter you can easily upload an exported list of contacts who converted into leads and create a customised experience for them on social media. If they downloaded or signed up for your newsletter, you can see they are interested by your content and want to learn more. Create social ads that will engage. By using social media to re-target, your content is then being seen by people who are interested rather than being wasted on people who aren’t. If you want to move these individuals further along the Buyer’s Journey, then you should offer them specific case studies packed with statistics or influential eBooks that educate to convert your leads into customers. 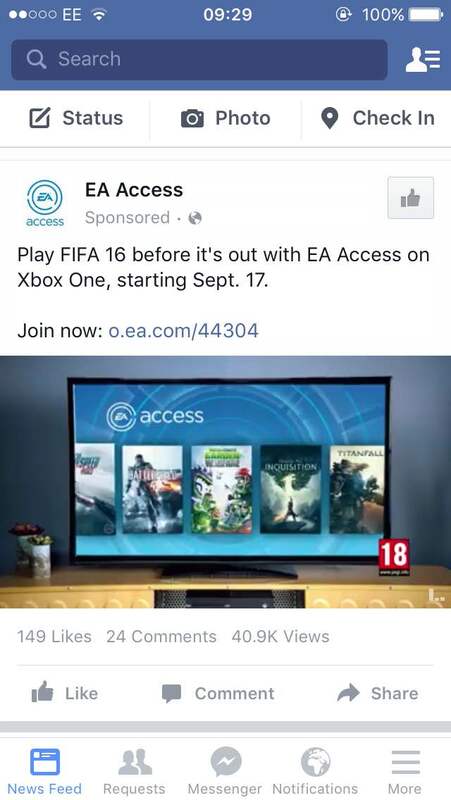 EA Access used social media to retarget customers who had preordered the new XBox One game FIFA 16. This ad offers an exclusive opportunity for customers to get early access into the game; a tempting offer to get these customers to buy again. A perfect example of social media retargeting. 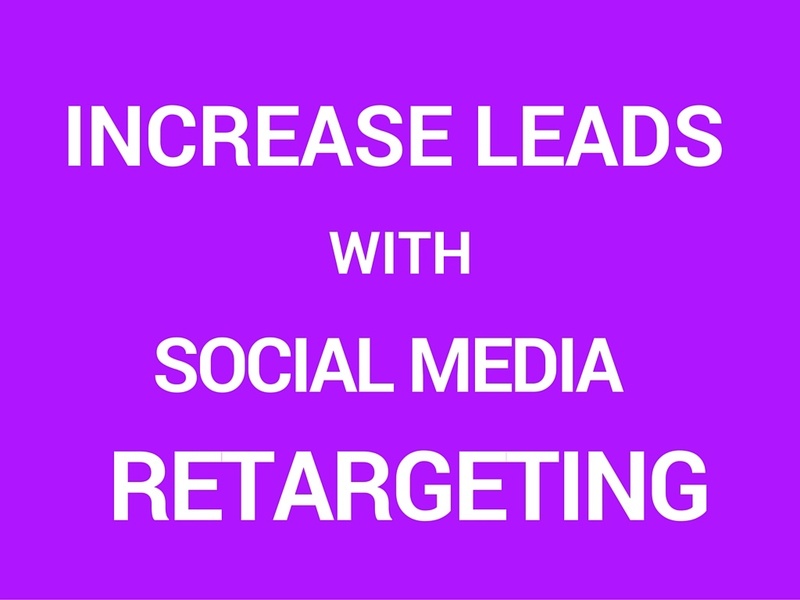 By re-targeting with social media you have another method of nurturing your contacts and maximising your content rather than relying on email. Unlike an email that needs to be opened, a social ad can be seen on regular intervals when an individual or company accesses their social media profile. Social media is an effective means of sharing your on-site content but get the most out of it by re-targeting your ideal customers and readers. Download our FREE eBook to learn how to get the best out of your PPC strategy.